Propeller Travel Management provides that personal touch to travel management. Whether its regular trips abroad for work, or large group bookings for conferences Propeller Travel has your business travel needs covered. There’s nothing more rewarding than seeing the look on your kids faces the first time they go on a plane, or see the ocean, and at Propeller Management we understand just that. Give yourself, and your family, the holiday they deserve without the added stress of spending hours researching and booking your next trip away. Our agents all love to travel meaning that you’re getting first – hand recommendations of the best places in town! We can offer everything from added benefits at world famous resorts and leading cruise ships, to activities and tours so you and the kids are endlessly entertained, to ground transport and car hire so you can reach your next remote hike or ski lodge with ease. The best thing, is that we tailor-make your complete holiday package to make sure that you’re getting your dream holiday at the right price. From wedding nights at the Four Seasons and honeymoon’s in the Caribbean to a simple weekend away in Venice, Propeller Travel can make your trip that little bit extra special. We provide Virtuoso benefits along with other special benefits in leading hotel chains such as the Four Seasons, Ritz Carlton, Belmond, Jumeirah, Mandarin Oriental, Peninsula and many more. . 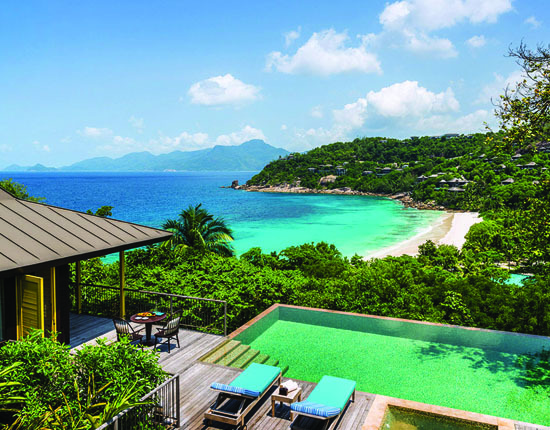 Located on the southwest coast of Mahé, known for its white powder beaches and dramatic rock formations.Enjoy once-in-a-lifetime views of the Indian Ocean from a sleek hilltop retreat, along with the sincere, sophisticated service of Four Seasons staff. With a history of delighting guests and providing personalised service since 1865, The Langham, London is truly a London icon. The Langham Club offers a unique private haven for guests who prefer an extra level of comfort. 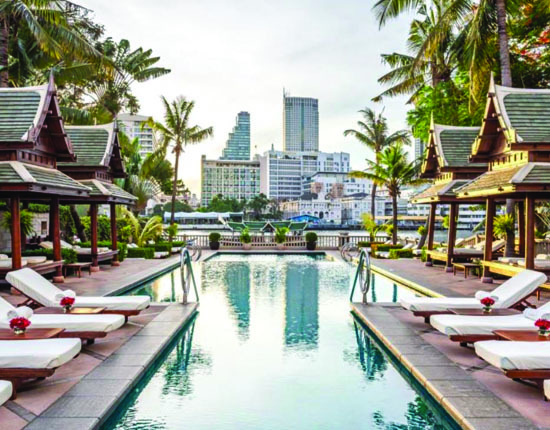 One of the finest hotels in Asia, The Peninsula Bangkok perfectly mixes timeless elegance and sophistication with contemporary comfort and technology. Its distinctive wave-shape design means each room has a stunning panoramic view over the river. I have a complex itinerary, can Propeller Travel help me? We can absolutely help with complex itineraries. We are proud to be well known for handling complex itineraries (up to 16 sectors), multi-threaded tickets, mileage runs, tier point runs (and any other “runs” you can think of). Whatever your requirement, we can help. You find more details on complex booking service on the complex booking page. Can you sort out transfers from the airport/concert tickets/restaurant reservations/hot air baloon? Absolutely. We can organise ground transfer (or air transfer!) from any point worldwide, whether you require a helicopter to whisk you away skipping traffic, a luxury limousine, driver and security protection, a road show and anything in between. We love to be challenged! When booking a hotel through Propeller Travel, do I lose any of the benefits the hotel offers when booked directly on their website? When you make a hotel reservation through Propeller Travel, you will receive all the benefits that you would have received when booking directly with the property. In addition, we may be able to secure additional benefits in many properties. In addition, if you are a member of the hotel’s loyalty scheme, you will receive the full loyalty program benefits, helping you to gain (or maintain) your loyalty status.